Upload photos to Pho.to services from Facebook! You asked – we did! 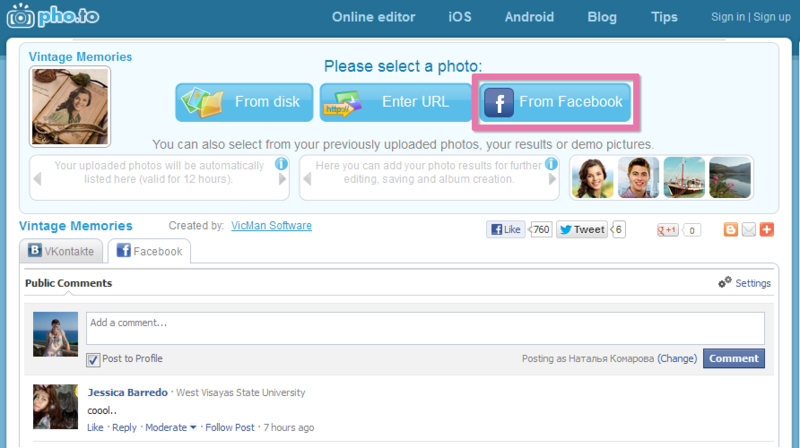 Upload photos to Pho.to services from your Facebook albums! The feature is live on Funny, Editor, Makeup, Cartoon and Enhance services. Now you can create fun collages and enhance your pictures faster than ever!. Previous Previous post: Hurry up to buy ‘Pho.to Lab PRO’ for iPhone/iPad with discount prices! Next Next post: Welcome the enhanced ‘Pho.to Lab’ app!